Is the road calling your name? Are you tired of delayed flights and overpriced hotels? If so, you may want to consider exploring the beauty and wonder of America from the comfort of a Recreation Vehicle (RV). RV’s come in all shapes and sizes and you can certainly find one that fits in with your preferred traveling style, budget and personal requirements. We are a family that travels a lot for fun, so deciding to purchase an RV made a lot of sense for us. It is cheaper than a hotel and the the time we spend en route to our destination allows for more quality time with each other and gives us the flexibility to explore. Stopping for bathroom breaks every 30 minutes are now a thing of the past and toys, snacks, crafts, a bed and anything else we might need are within reach. As we prepare to purchase our first RV for our family and business needs, I wanted to share a short guide that could help make an informed decision before you take the plunge. What are the different classes of RVs? These are big on living space and price! These motorhomes are built on a bus chassis and are typically very luxurious and come equipped with most modern conveniences and almost everything you will need for daily living. The size of these beautiful motorhome can range anywhere between 32’ to 45’ and come with a gasoline or rear placed diesel engine. Slide-outs are common. The “home” part of the motorhome includes its own heating, air conditioning, electric system, propane supply, and water tanks. There is a wide array of choices, floor plans, and interiors ranging from practical to luxurious – with corresponding price tags from $60,000 to the millions of dollars. 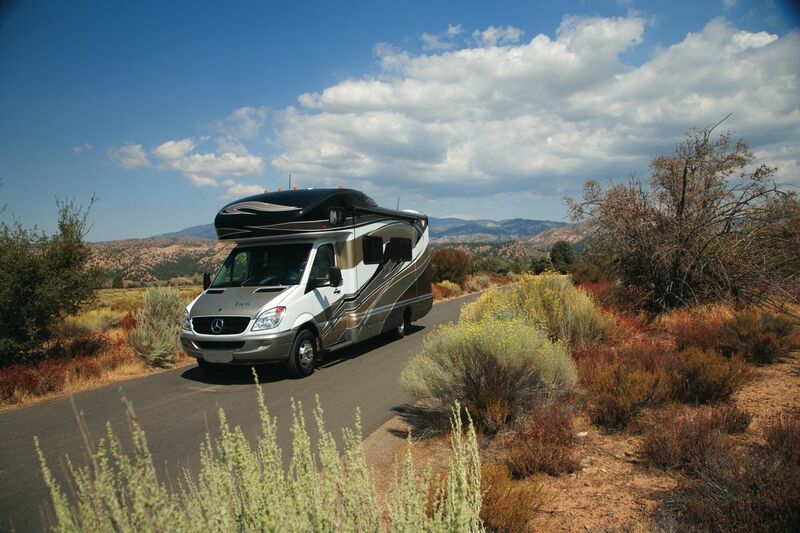 Bottom line: The Class A motorhome type offers the motorhome convenience of being able to have a very comfortable living space while on the road. Great for extended stays. Gas mileage is a dismal 6-8 mpg. Class B’s are built on a van chassis with an elevated roof, so if you are 6’3 or shorter, you can easily stand up inside. Lengths range from 17- 19 feet. Accommodations are a bit cramped, but you have all you need tucked inside – usually cooking facilities, sink, small fridge, convertible bed/dinette, toilet, fresh water and waste water tanks, and electric outlets. Interior space can be limited, so these are not really designed for more than 3 people or extended living. They are workable for a couple, and for overnight stays or camping trips. They can easily maneuver around town, serve as a second family vehicle, and can be used for light towing. With a diesel engine, gas mileage can be pretty good at 22-25 mpg. Bottom line: The Class B motorhome type offers a good deal of versatility and good fuel economy. Class C’s are built on a regular automotive chassis with both driver and passenger side doors. Lengths range from 22-35 feet. These motorhomes are somewhat smaller than the class A but larger than the B and have a cab over sleeping compartment above the driver’s seat. These motorhome have their own heating, air-conditioning, plumbing and electrical systems. Typical accommodations include kitchen with microwave/oven, fridge, cooktop, dining area, living area, bedroom, bathroom, washer/dryer, VCR, TVs, etc. Bottom line: A good selection for anyone traveling as a family. Our family of four loves them! They are not too hard to drive them but you should be careful when taking one of these units out onto the road with their huge blind spots and larger turning radius. These are usually travel trailers that must be towed by another vehicle because they do not have an engine or driving mechanisms. They range in size and depending upon you individual needs. The travel trailer is quite often is used for longer term excursions and set up in one location. Once set up, you will need to hook up to water/electricity for the full functionality of your travel trailer. Keep in mind that no one is allowed to be in a towable/5th wheel when it is being pulled so the vehicle pulling the trailer must have enough seats for everyone to sit with a proper seat belt. 5th wheels are oversized trailers and must be pulled by a heavy duty truck when traveling. When fully set up a 5th wheel is a great option for temporary housing. They can range in size up to 40 feet and have most of the luxuries found in a home with slideouts and awnings for outdoor living. Posing at the Chattahoochee National Forest!